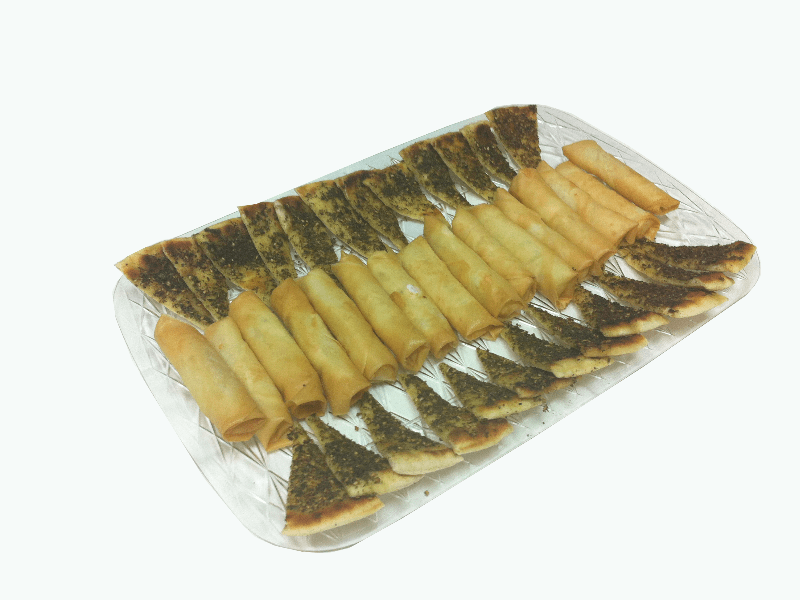 16 Akawi cheese rolls and zaatar bites. 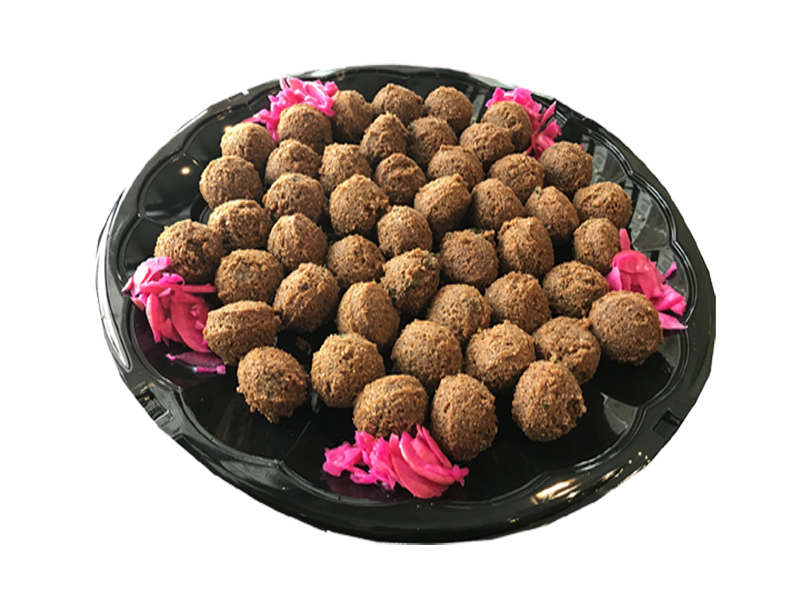 Homemade mini Falafels (50 pcs). 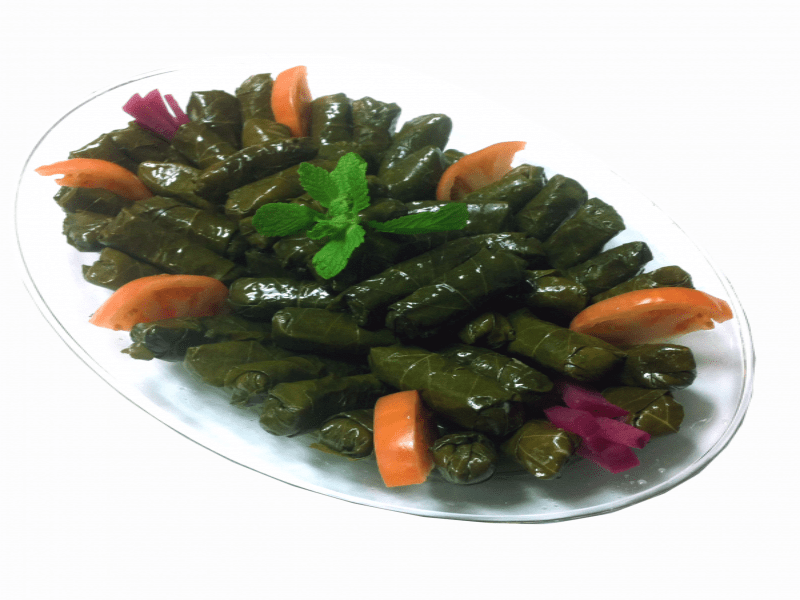 Grape leaves Stuffed with rice, tomatoes, parsley and spices. 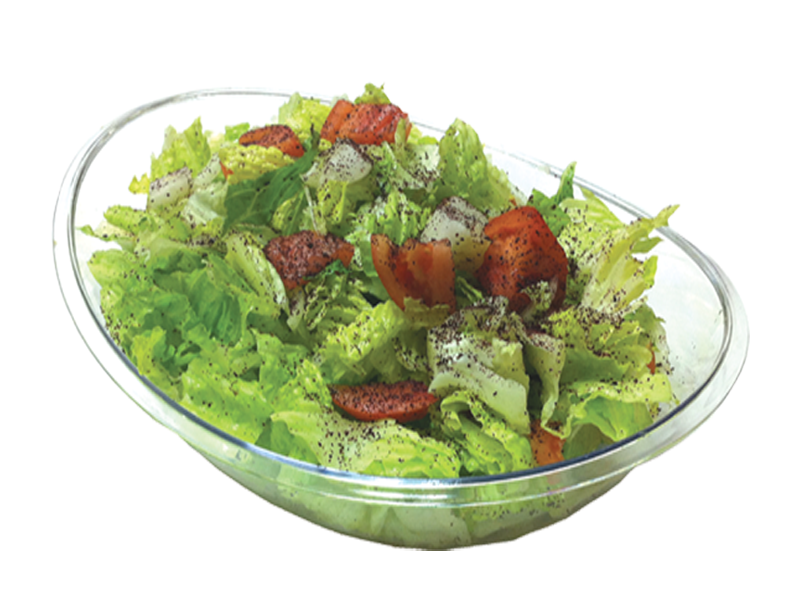 Romaine lettuce, tomatoes, onions, cucumbers, bell pepper, crispy pitas, sumac and olive oil and lemon juice dressing. 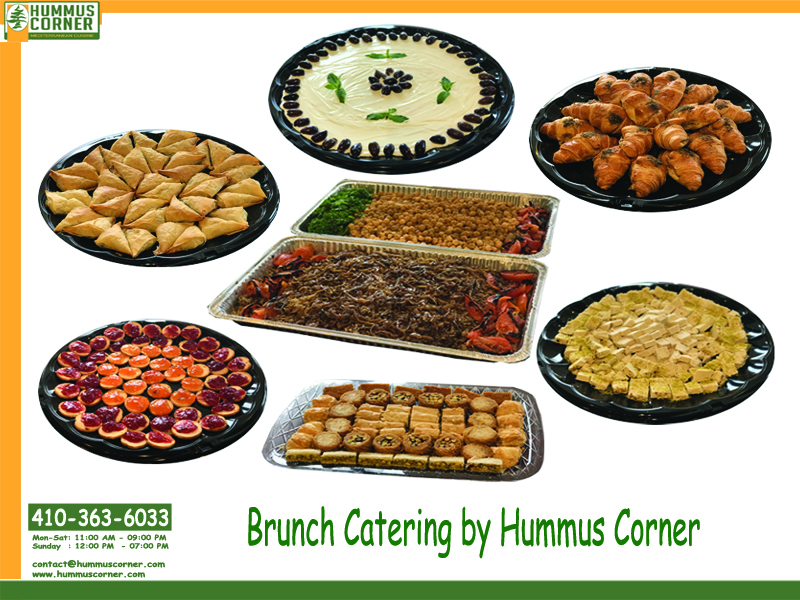 Comes with chips or carrots , hummus and baklava. 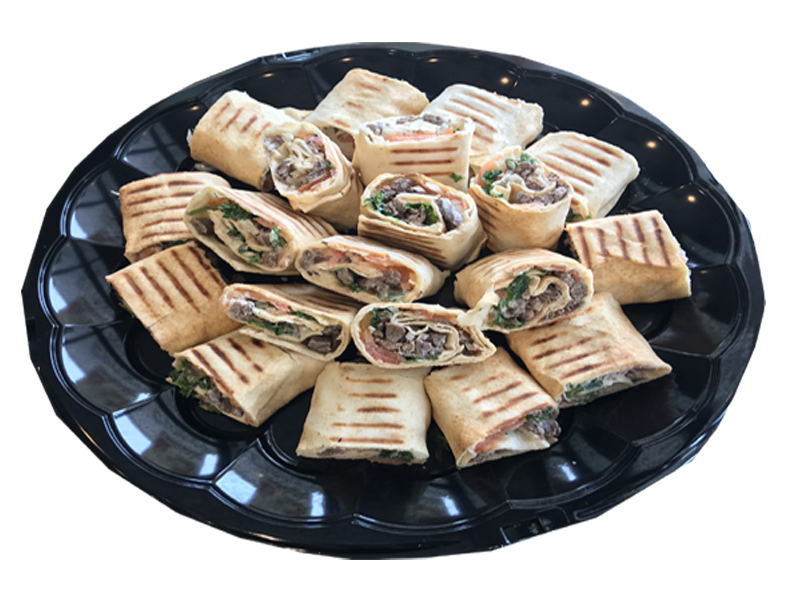 Your Choice of wrap: Falafel, Hummus, Chicken or Beef shawarma, Chicken kebab or Kebab Orfali. 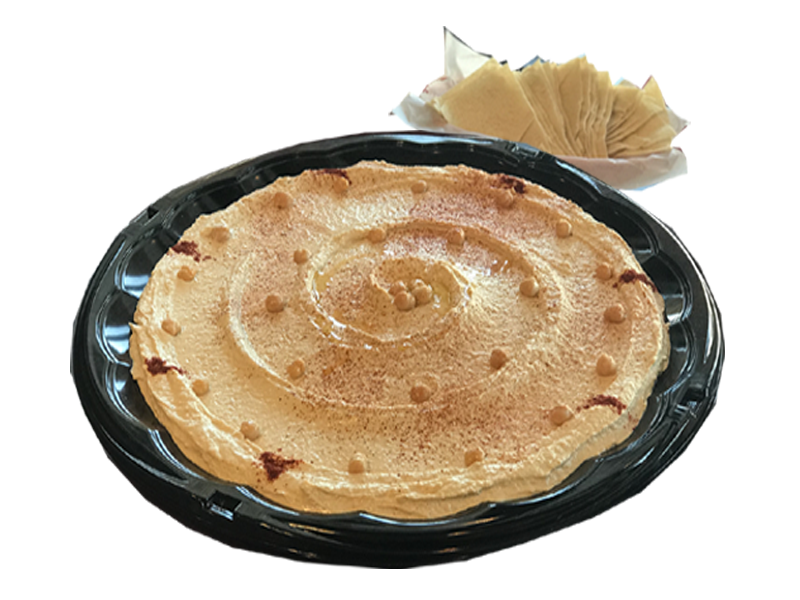 chickpea puree, tahini, fresh lemon juice served with pita bread. eggplant, tahini, garlic pomegranate sauce, fresh lemon juice topped with olive oil and served with pita bread. 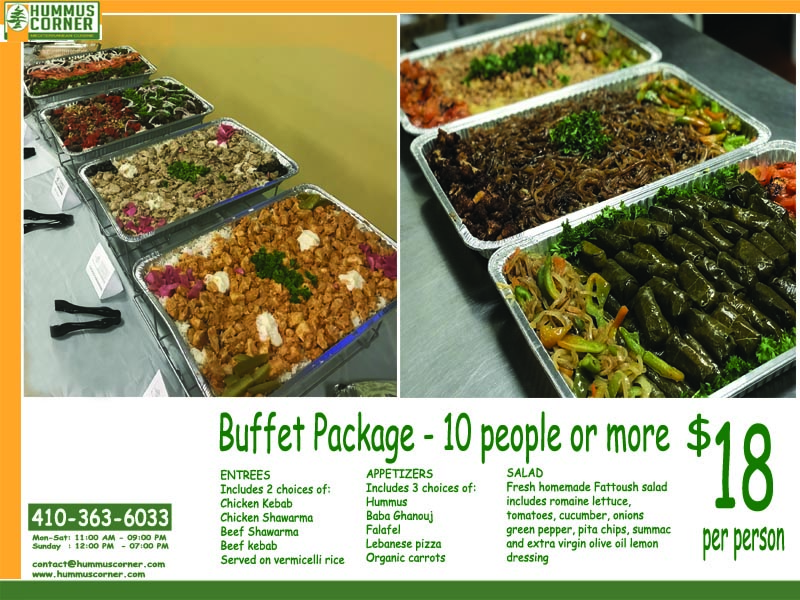 An assortment of chicken kebab, beef and chicken shawarma, kebab orfali, served on vermicelli rice. 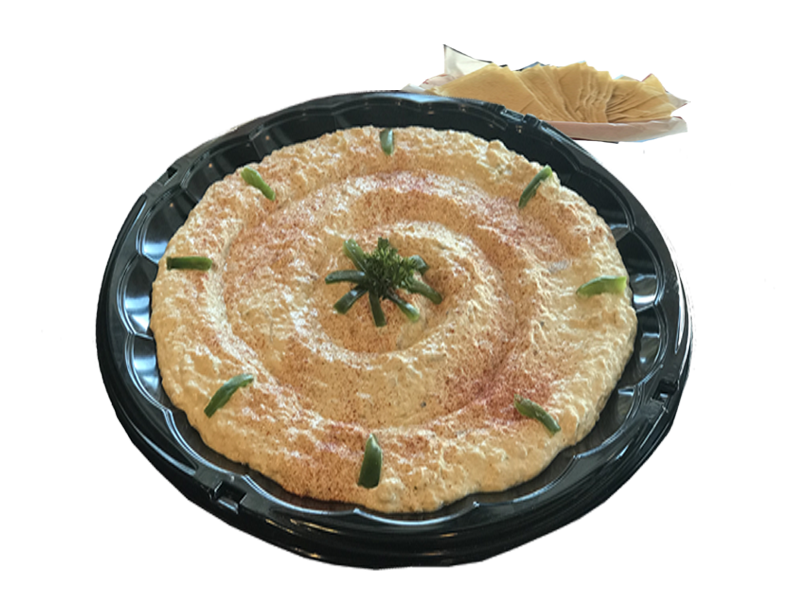 hummus, baba ghanouj, falafels, Lebanese pizza, Mediterranean snack rolls, baby carrots and pita chips. 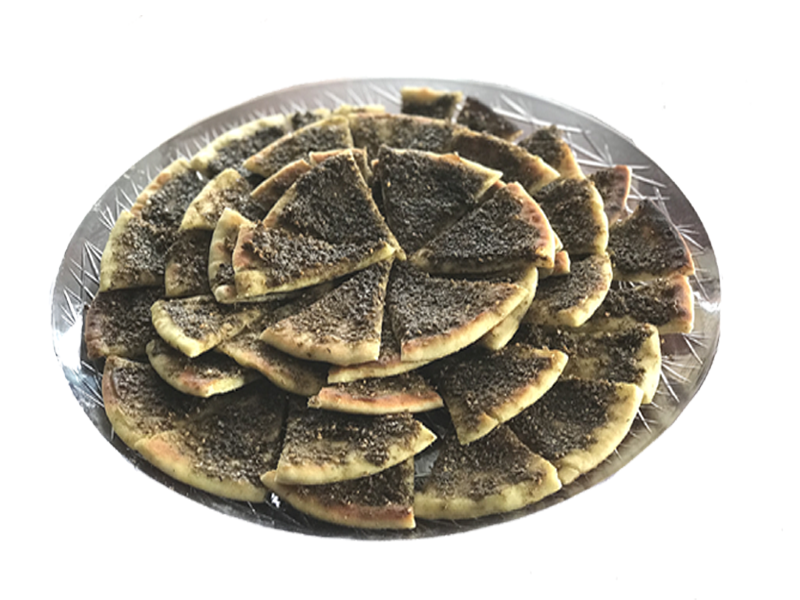 Lebanese pizza - mini slices of toasted pita pie topped with dry thyme, sesame seeds, pomegranate and olive oil. 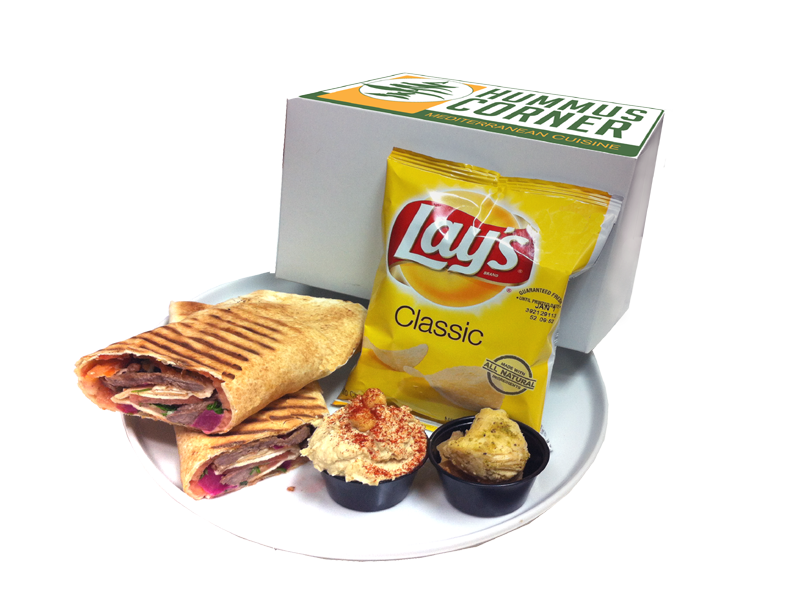 Your choice of your favorite pita wraps. 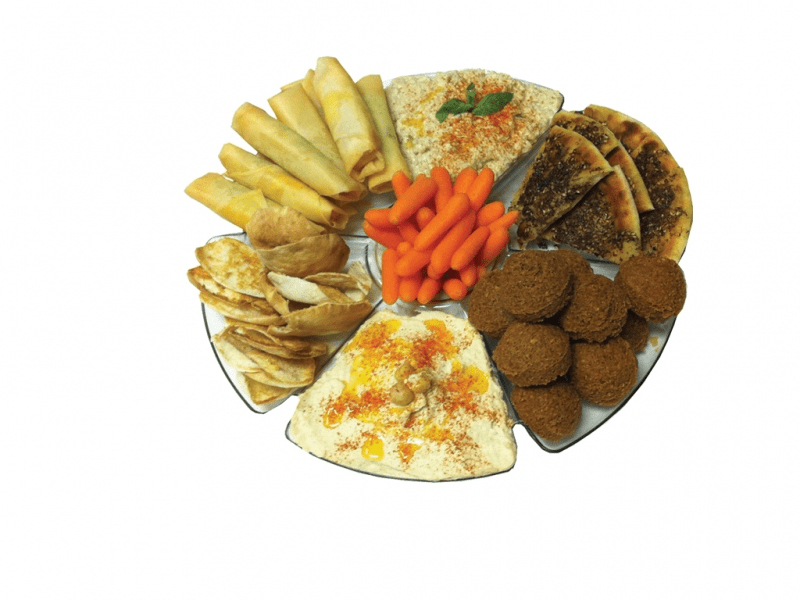 Our recommendation is a combination of meat shawarma, falafels and chicken. 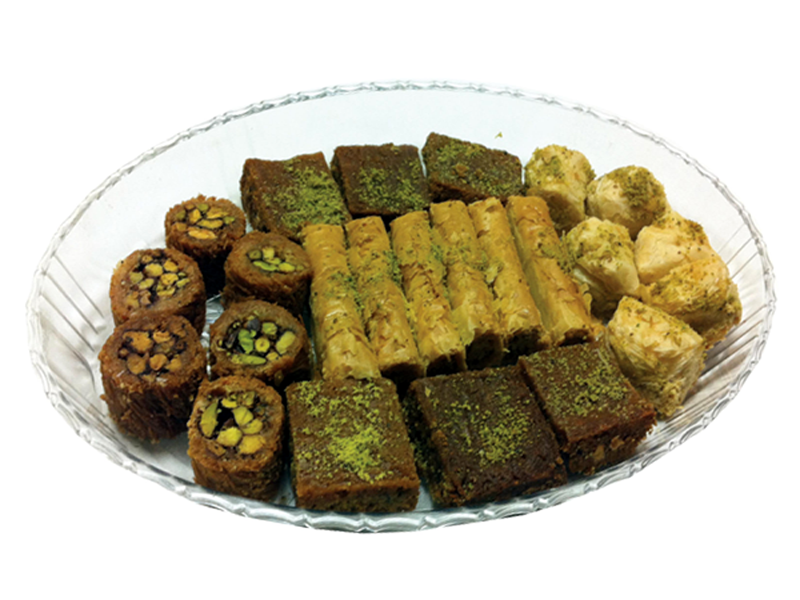 dozen of your Baklava favorite.